Lynn Trimmer Collins, 91, of Bellaire died Sunday, April 7, 2019 at Meadow Brook Medical Care Facility. She was born September 22, 1927 in Oak Park, IL at West Suburban Hospital, which was founded by her grandfather, Dr. Thomas E. Roberts and designed by her great uncle, E.E. Roberts. Lynn was the daughter of Dr. Ralph Waldo and Elizabeth Roberts Trimmer. In 1936, Lynn began summering on Torch Lake in Alden, Michigan where her parents built the Log House. Lynn never missed a summer at Torch Lake. Over the years, she enjoyed sailing E Scows and Snipes at Torch Lake Yacht Club, swimming, and all the area had to offer. Lynn graduated with her bachelor’s degree from Western College for Woman in Oxford, Ohio. She married Todd Johnson Collins on June 17, 1950. She raised her family in River Forest Illinois. She and her husband successfully ran Lynn Marketing Group, Inc. for many years before retiring in 1987. 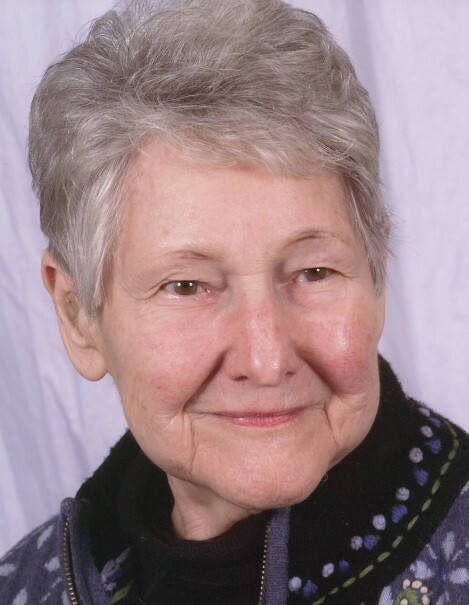 Lynn was an active member of the First United Church of Oak Park. She was involved in volunteering and supporting Infant Welfare and Hephzibah Home. Lynn was a Brownie and Girl Scout Leader and an expert marksman with her Daisy Red Rider BB gun. She was involved in curling at Oak Park Country Club and enjoyed playing bridge. She and Todd were active members of the Belle Letters Society in River Forest. Lynn also enjoyed knitting, canning pickles and making applesauce and various jams. Surviving is her sister Joan Trimmer Preece of Bellaire, her children Kathleen (Mike) Babb of Loudon, TN, Ernest Todd Collins II of Central Lake, MI, Nancy (Mark) Saldi of Skagway, Alaska, grandchildren Ian (Angela) Hutchinson, Anne (Jason) Helbig, Erica (David) Schulze, Elisse (Brandon) Lassiter, Elena Marie Saldi, Yasha (Jacob Thomas) Saldi, Matthew (Jennifer) Babb, Daniel Babb, Christopher (Camille) Babb, and 8 great grandchildren. She was preceded in death by her husband, her brother Ralph Trimmer II, and grandson Ryan Babb.